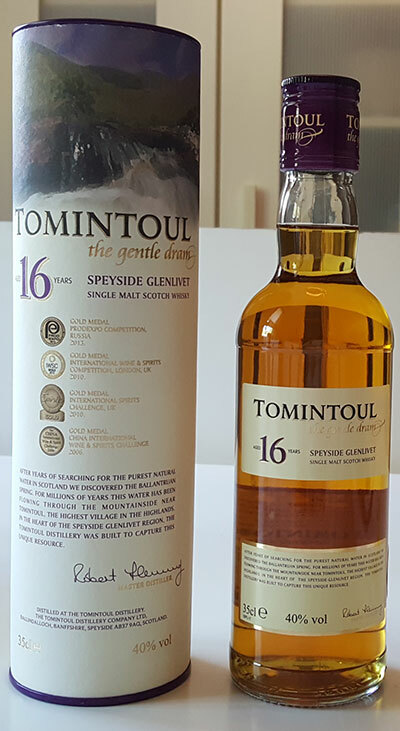 Tomintoul 16 year old comes from the Speyside distillery also known as The Gentle Dram. The Tomintoul-Glenlivet Distillery is located at the picturesque Glenlivet estate, in the region of Speyside. Nearby you’ll find the village of Tomintoul, which gives the distillery its name. It is the highest village in the Scottish Highlands. They produce malt whisky for blends (Whyte & Mackay) and single malts. Tomintoul 16YO has been matured in selected Ex-Bourbon American Oak casks. 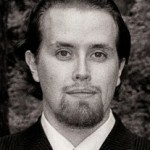 It’s been crafted by 4th generation distiller Robert Fleming. This dram surely is gentle, but it is elegant and it’s packing some flavor. So even though light, which usually is a turnoff for me, it manages to offer some character and richness. Tomintoul 16YO is like The Gentle Gunman, even though it’s not Irish like the folks in the movie in question. It might as well be an Irish whiskey, it has similar kind of qualities. This could be a gentle dram distilled three times somewhere in Ireland. Too bad it has only 40% alcohol by volume level. Without chill-filtration and with a little bit higher ABV, this dram could be a lot tastier. Apparently their 14 year old single malt has been bottled differently than other Tomintoul releases, at a higher strength than 40% and non chill-filtered. Nose: Feels quite thick and punchy, with sweet and dry fruity notes. Offers also light floral notes, grassy feel and hay fields. Aromas make a promise of a rich and full palate. Few drops of water add oak and malt. Taste: Smooth and light palate, not the one you’d expect after the full sherry-like nose. Now the bourbon cask maturation starts to show, offering creamy vanilla and malty notes. Water adds sugary cereal and grassy notes. Finish: Crispy oranges and sugared barley. Bit spicy and oaky. Sweet and fruity, resembling sherry matured whisky again. Water really gives room for the oak to dominate. Balance: Nothing really steps up, surprisingly one-sided for a 16 year old single malt. Smooth yet bit crispy. Nice whisky in balance but I was expecting a bit more from a whisky this old. Much better than Tomintoul 10 year old, though.